Our head chef, Auddy has managed to combine the traditional and original Thai cooking style with a specifically western tailored taste creating a mouth-watering fusion of flavours. Those that try some of Auddy's finest dishes have found it very difficult not to come back for more. Since opening it has been our philosophy to offer as much variety as we can. As well as being the largest Thai restaurant in Salisbury, we also offer an outside catering service for all occasions. 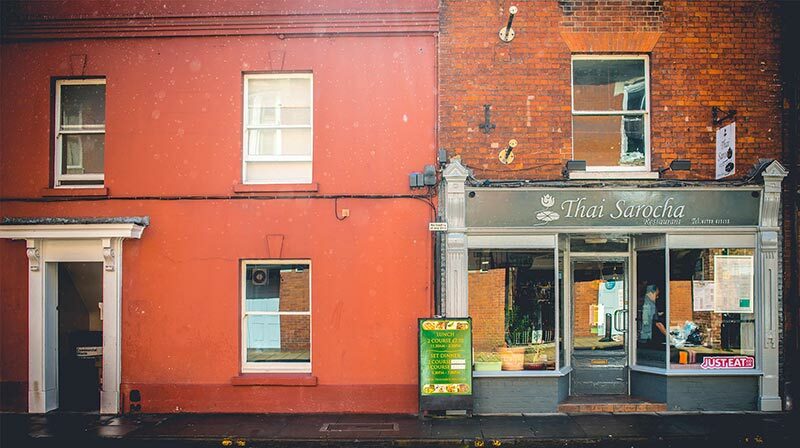 We are also unique in that we are the only Thai restaurant in Salisbury to offer a home delivery service, so there's no need to brave the harsh elements to enjoy your favourite dishes. We know you love coming to Thai Sarocha to get your fix of tasty Thai dinner. That’s why we’re making it even easier to get the whole family together for their favourite feast.